A veteran in the California winemaking scene, Sandy Walheim is the winemaker for Virginia Dare Winery. Under her guidance, she and her team develop and craft all the Virginia Dare wines, including the Virginia Dare Showcase wines, the elegantly crafted Russian River Pinot Noir and Chardonnay. Her keen attention to detail and her comprehensive knowledge of crafting small lot, limited production wines place her in the spotlight as one of Sonoma County’s most admirable winemakers, and her down-to-earth personality makes her enviable in all aspects. As the daughter of a Navy submarine captain, Walheim had the opportunity to travel around the United States from a very early age, experiencing many different communities and landscapes. As her college years approached, she immediately took an interest in California, having spent some enjoyable time on the West Coast in her earlier years. She enrolled in Southern California’s UC San Diego, but before long the abundance of seasonal food, wine, outdoor activity, and easygoing lifestyle attracted her to Northern California where she joined the University of California, Davis. After interning with Domaine Chandon, which piqued her interest in “wine country living,” she graduated with a degree in fermentation science, launching her career in winemaking. After graduation, Walheim joined a small boutique winery in Santa Cruz where she mastered the craftsmanship of limited-production, single-vineyard wines, allowing her to incorporate innovative and unconventional winemaking techniques into the wine program. Yearning to expand her knowledge, Walheim moved to Napa Valley five years later and joined the team at Robert Mondavi Winery. The popular, larger production winery provided her with insight not only into winemaking techniques that appeal to a plethora of demographic groups, but the overall business aspect of blending wine sourced from a variety of appellations. Equally enlightening were the times she worked with Cain Vineyard & Winery on Spring Mountain and Beringer Vineyards. It was during her time in Napa Valley that she realized she wanted to return to school to hone her business approach to winemaking. She earned a degree in management from St. Mary’s College of California, her business competence now complementing her tenured technical artistry. Soon after, she joined Healdsburg’s Simi Winery as an associate winemaker where she spearheaded the winemaking efforts as well as the winery’s conversion to estate-bottled wines. 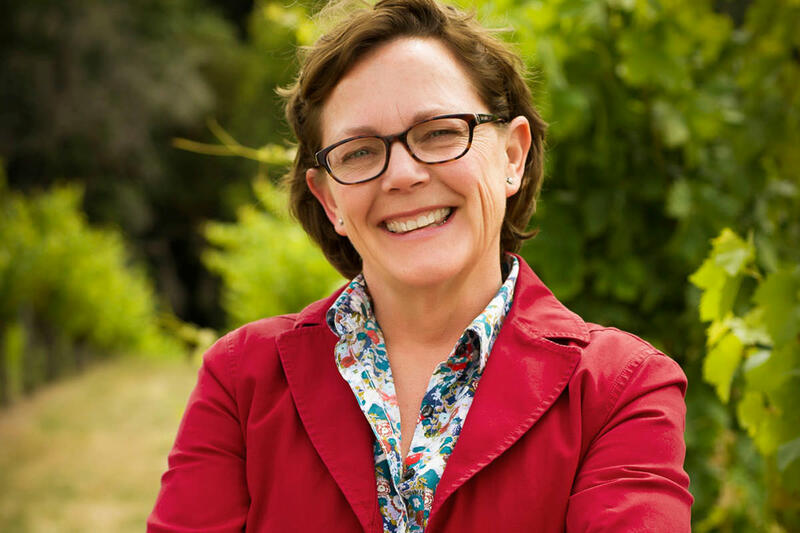 In this role, she gained valuable knowledge into the diverse appellations of Sonoma County, becoming an expert in the myriad of nuances throughout Sonoma County’s distinct terroirs. In 2006, Walheim was hired as an associate winemaker for Francis Ford Coppola Winery. In 2013, Walheim added the Virginia Dare Winery to her portfolio, applying her expertise and singular approach to Virginia Dare’s eclectic American blends and Showcase wines. As Sandy puts it, “A lot of winemaking is problem solving of some sort, which can be really fun, like working a puzzle.” She thrives on the challenges that each vintage, varietal, and appellation present — and always looks forward to the tremendously gratifying aspect of bringing each wine to its finest quality potential. In order to view the requested page you must be at least 21 years of age.